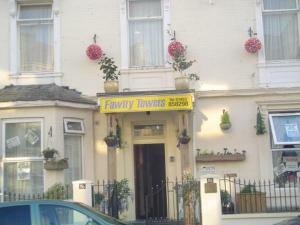 Bed and breakfast in and around Great Yarmouth. Great Yarmouth is Norfolk's largest and most popular tourist destination. It offers great family entertainment & miles of sandy beaches. Yarmouth has high street chain stores, local shops and traditional seaside shops. Market days are Wednesdays and Saturdays all year, as well as some permanent stalls. Gt Yarmouth and its surrounding seaside towns and villages of Gorleston-on-Sea, Hemsby, Caister on Sea, Winterton, California, Newport and Hopton-on-Sea, offer all the fun of family beach holidays with the beauty of Norwich, the Norfolk Broads and East Anglia countryside. If you are in the right town but cannot find the accommodation you want on this page, you might consider Great Yarmouth hotels. The Prom Hotel and Pub on the Prom have been under the same ownership for 7 years and continue to offer a high standard of accommodation and service. Ideally situated on Great Yarmouth's golden mile, close to all that the town has to offer, the Prom Hotel and the exciting new bar, Pub on the Prom, are an excellent choice for accommodation and dining. Newly renovated front-facing rooms have fantastic views of Marine Parade and the beach. Only 15 minutes' drive from the North Sea heliport, the hotel is an ideal location for travellers in the oil and gas industry. It has a long association with some of the biggest companies in town. Friendly and attentive staff will look after your needs. The Gable End is situated in a quiet area of Great Yarmouth, on the seafront, a short walk to all amenities. It boasts good food, free parking and free Wi-Fi. Great Yarmouth Town Centre, Great Yarmouth Race Course and Britannia Pier are all reachable in less than 5 minutes. The bedrooms are spacious and modern and they all have an en suite bathroom with bathroom amenities. Guests also benefit from tea and coffee making facilities in their room. Gable End Hotel's restaurant serves traditional home-cooked food in the evenings and guests are offered a full English breakfast every morning. There is also a bar onsite, with bar meals and a TV lounge. Just a 5-minute walk from Great Yarmouth's seafront and town centre, this fine Victorian house offers free Wi-Fi, good breakfasts, free parking and elegant rooms. Each room at the friendly Beaumont House has free bottled water, tea/coffee, a flat-screen TV with Freeview and a DVD player. Some rooms have a jacuzzi bath or partial sea views. Overlooking Wellesley Park, Beaumont House has received a 4-star Silver Award for providing excellent accommodation and personal service. The guest lounge has a large plasma-screen TV with Freeview channels. Beaumont's bar/dining area offers beverages and alcoholic drinks. An optional evening menu (upon prior request) features homemade food. Just 30 seconds from the seafront and Britannia Pier, this relaxed guest house welcomes everyone, including those who enjoy nightlife. 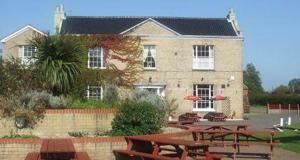 The Trevross is an easy walk from Great Yarmouth's best pubs and clubs. Free collection from the rail/bus station is available, if arranged in advance. Guests get their own key and can come and go at any time. The Trevross doesn't prepare breakfasts. Instead, guests can get vouchers for a full English breakfast at a cafÃ&COPY;, 50 metres along the road, served until 16:00. All rooms at The Trevross have tea, coffee, hot chocolate, bottled water and TV with around 40 Freeview channels. Free Wi-Fi is available. Bedrooms are not en suite, but towels and toiletries are included. Refurbished and family-run, Tudor House has 4 stars from Visit Britain and is 5 minutes from Great Yarmouth town centre, within easy reach of the beach and local attractions. The experienced owners aim to offer a home-from-home atmosphere. Each room has a DVD player, a flat-screen TV with Freeview, and complimentary tea/coffee and toiletries. If you would like to discover Great Yarmouths history, there are many museums a short distance away. The city of Norwich and the Norfolk Broads are a short drive away. There is on-street parking to the front of the house and at a location within 2 minutes' walk of the house. Centrally located in the popular seaside resort of Great Yarmouth, this small, family-run hotel provides comfortable accommodation within easy reach of the seafront and town centre. Each room has a fridge and a flat-screen HD TV with Freeview. Close to all of the town's amenities, the hotel also provides an ideal base for exploring the famous Norfolk Broads and the city of Norwich, which houses a castle and cathedral. Shopping is also available in Norwich's city centre. In the evenings, you can relax in the comfort of the hotel and keep in contact with family, friends and colleagues using the free Wi-Fi connectivity. You will find a warm and friendly welcome at this guest house located 100 metres from the seafront and 4 minutes' walk from the town centre and market. A selection of restaurants and bars is nearby, and the train station is a 5-minute drive away. The Rembrandt's 7 rooms are equipped with complimentary beverage trays and Freeview TV. Clean comfortable beds are a priority. A full English breakfast is served in the dining room each morning, and free Wi-Fi internet is available. 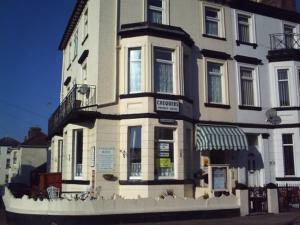 This guest house is situated at the north end of Great Yarmouth, close to the racecourse and beach. Sandy Acres is 200 metres from the seafront, less than 1 mile from the town centre shops and market, and 10 minutes' walk from the racecourse. There are 10 well-appointed bedrooms, all with en suite or private facilities. All rooms have Freeview TV, tea/coffee making facilities, hairdryer and an electric fan/central heating (depending on season). There is a varied breakfast menu to choose from. Just one minutes walk away from Great Yarmouths seafront, this large double bay-fronted Victorian house provides comfortable accommodation, complimented by a friendly, welcoming atmosphere, within an attractive prize-winning garden. The perfect adult retreat (no children under 16 years accepted), the Corner House Hotel provides tastefully furnished en suite guestrooms, a communal lounge with full Sky package and 42-inch plasma screen, and a well-stocked, licensed bar. With just 8 rooms, the Corner House staff aim to offer you personal service and attention. They are renowned in the area for their friendly welcome, comfort and high quality facilities. A free, CCTV monitored, on-site car park provides peace of mind whilst you explore the surroundings. There is also a secure, covered garage for the safe storage of motorcycles and bicycles. A 2-minute walk from Great Yarmouth's seafront, Kilbrannan provides 4-star guest house accommodation, free Wi-Fi and free parking. The town centre is just a 3-minute walk away. Each en suite room at Kilbrannan Guest House features Freeview TV, a DVD player and Wi-Fi access. There is a guest lounge with a bar, serving drinks at reasonable prices. The guest house has won a 'Guest Accommodation of the Year' award. An excellent cooked breakfast is offered at Kilbrannan Guest House, using only locally sourced produce. On Great Yarmouth's seafront, The Hamilton offers an onsite bar, free parking and rooms with free Wi-Fi. The theatre and shopping centre are just a short stroll away. Each bright, homely room at The Hamilton has tea/coffee facilities, a hairdryer and a TV. Some rooms feature sea views. Offering a menu of homemade food, the modern bar also serves a selection of ales, wine and spirits. The extensive breakfast menu includes continental and full English breakfast options. The Hamilton is less than half a mile from Great Yarmouth Racecourse and only 1 mile from North Denes Heliport. The Hamilton has a 5-star Environmental Award. In Great Yarmouth, 3 Norfolk Square is a luxury guest house offering boutique-style rooms with flat-screen TVs and DVD players. There is free Wi-Fi and free private parking. All of the en suite rooms at 3 Norfolk Square guest house have Freeview TV and separate seating areas. There are tea/coffee facilities, fresh fruit, biscuits and bathrobes. There is a modern licensed bar at the AA 4-star Norfolk square guest house. Norfolk Square is in a tranquil location, but within easy reach of Great Yarmouth's town centre and attractions. The friendly, family-run No.78 on Marine Parade is just 100 metres from the beach. The B&B has stylish rooms, and full English breakfast is included in the room rate. No. 78 is convenient for Britannia Pier, the town centre and the beach. It has an ideal location for Caister Soul weekends, race meetings, the heliport, restaurants and local attractions. No.78 is completely non smoking. All rooms are en suite, clean and modern. They have an LCD TV with Freeview, Wi-Fi access and hot-drink-making facilities. Andover House is a restaurant with rooms, exclusively for adults. It stands on a beautiful tree-lined avenue, a moment's walk from the beach and the tourist centre of Great Yarmouth. The house was transformed in May 2008. Each en suite bedrooms has a plasma TV, tea/coffee and a telephone. The beautiful, family-run Victorian house was recently awarded 'Guest Accommodation of the Year' and 'Investment in Tourism' at the GYTA Awards. The restaurant has 2 AA Rosettes and offers a hot breakfast menu in the morning. Positioned close to Great Yarmouth's beach, amusements, pubs and cafÃ¨s, this small, family-run B& boasts 3-stars and a Silver Award for Great Yarmouth and Gorleston in Bloom 2008. All rooms are decorated individually. Double rooms feature 6'x6'6' beds for a comfortable night's stay. Enjoy a full English breakfast in the nautical themed dining room and relax while you watch the fish in a large tank. The Bromley is a smaller, individually styled Victorian town house, centrally situated and close to the seafront and all the amenities of Great Yarmouth. The Bromley is a 4-star Silver Award winner for providing excellent guest accommodation and service. Expect big beds with rich luxury linens and fabrics, and large fluffy towels. Most rooms have TVs with Freeview digital channels and free Wi-Fi, which is also fully available in the bar and dining areas and in most of the rooms. Enjoy great food in a relaxed informal atmosphere. Ingredients come from award-winning local butchers and fishermen. The bar area is cosy, with big sofas and plenty of style. Owned and run by Jill and Stuart Ramsay, at The Bromley you can be assured of a personal touch and attention to detail. The The Bromley has been designed to mix modern facilities with the history of the building. 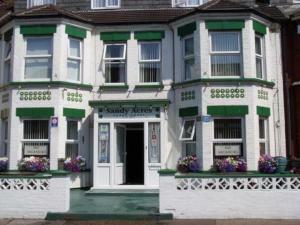 The Shrewsbury offers 4-star guest house accommodation, near Great Yarmouth's sandy beach. The town centre is a 4-minute walk away. Room features include free Wi-Fi and Freeview TV. Some rooms feature a four-poster bed. Locally sourced food is used in the excellent breakfast. The guest house has been awarded a 4-star Silver Award from Visit Britain. The Shrewsbury offers a free pick-up and drop-off service to the local train and bus stations or heliport. This family-run guest house has a friendly atmosphere, with personal attention from your hosts. The quiet, central location overlooks Wellesley Park, within 450 metres of the seafront. With a 3-star rating from Visit Britain, The Cleasewood takes pride in the high standards of catering, service, and cleanliness. The front-facing rooms have partial sea views. Full English breakfasts are served each morning. Packed lunches and evening meals are available on request. Dietary needs can be catered for upon prior request. The Cleasewood also has a lounge bar. 200 metres from the beach, opposite the Sea Life Centre, The Embassy Hotel is under new family ownership and offers new restaurant and bar menus. The Embassy Hotel is easily accessed by the A12 or A47 roads. All are welcome, including group bookings. 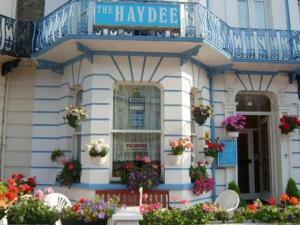 Just 1 minute from the beach, Haydee Guesthouse is opposite Britannia Pier and well-located for bars, shops and family attractions. The family-run guest house has en suite rooms with a TV and tea/coffee, and double rooms come with a king-size bed. Some rooms have a sea view. There is a licensed bar where you can start or end your evening, and home-cooked meals are served in the dining room. The Marina is a small, friendly guest house offering clean, comfortable accommodation exclusively for adults. It has free parking and free broadband internet access. Great Yarmouth Rail Station is a 5-minute drive away, and The Pleasure Beach is a 10-minute walk from the Marina Guest House. All rooms at Marina Guest House have cosy beds and some rooms feature Freeview TV. A full English breakfast is served in the dining room and the hosts are friendly and welcoming. Taunton House is a family-run guest house, featuring a small bar and modern en suite rooms with TVs and DVD players. The Pleasure Beach is a short walk away. In a tranquil position, the friendly Taunton guest house is within easy walking distance of Great Yarmouth's seafront and town centre. There is free parking outside the guest house. All of the stylish en suite rooms have alarm clocks and hairdryers. A full English breakfast is provided. Beach View B&B is a 3-minute walk from Great Yarmouth Beach. The Victorian house offers free Wi-Fi and comfortable rooms with a TV, bottled water and fresh milk. Some rooms have a partial sea view, and all come with hot drinks facilities. The Beach View serves a home-cooked full English breakfast in the dining room. The relaxed guest lounge is open until late in the evening. Beach View is about 10 minutes' walk from Great Yarmouth town centre and overlooks a local sports ground. Located just 200 metres from Great Yarmouth beach, Saffrons is a friendly guest house offering bedrooms with en suite shower rooms. Rooms also feature flat-screen TVs with Freeview. Well equipped rooms all feature power showers, ceiling fans and fridges. With a home-from-home atmosphere they also include hair dryers and tea/coffee making facilities. Traditional cooked breakfasts are served in the dining room. There are many eateries within a 10-minute walk of the hotel. Yarmouth's shops, arcades and beach are just a short walk from the hotel whilst the Greyhound Track and Racecourse are a short drive. The train station is a 10-minute drive and the coach station is a 5-minute walk away. Parking is on street at a nearby location. Saffrons was awarded 4 star silver award by VisitBritain. On the seafront, The White Lodge guest house offers a good breakfast and refurbished rooms with free Wi-Fi. Great Yarmouth's beach is less than a 1-minute walk away. All of the en suite rooms at The White Lodge have TVs and tea/coffee facilities. Some of the rooms overlook the gardens or have sea views. An excellent breakfast is provided, including cooked full English options, poached eggs and cereals. Juices, fresh fruit and bread are also available. In a tranquil location, The White Lodge is within easy reach of Great Yarmouth's town centre. Seals are often seen on the nearby beach. The Pleasure Beach and Great Yarmouth Race Course are both just a short walk away. There is some free on-street parking, or you can request to park on the drive. Bed and breakfast in Great Yarmouth. 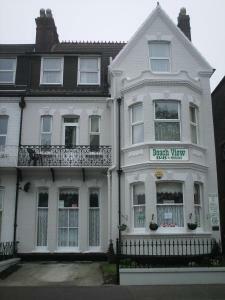 Great Yarmouth's premier guesthouse, recently completely refurbished with all ensuite bedrooms. RAC 4 Diamond grading with a Sparkling Diamond Award and a Warm Welcome Award. 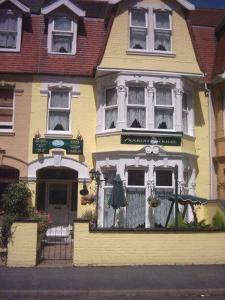 Other accommodation nearby - Bed and breakfast in North Walsham & Bed and breakfast in Cromer.